I never dreamt how my original one page website, which was uploaded many years ago, would have grown into quite a collection of different webpages that span my main profile as a professional entertainer. 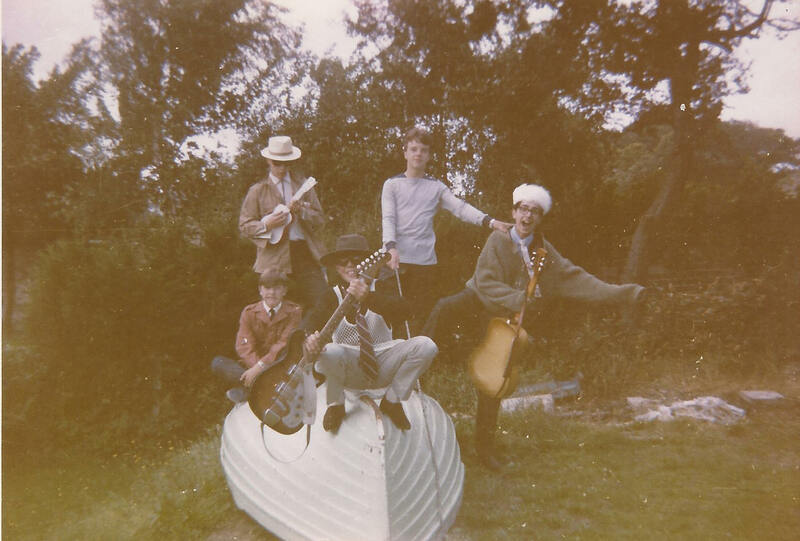 From its humble beginning, this site covers a large part of my life as lead singer with Southampton based pop groups from 1964-1972 until I launched my solo comedy career, which is still going strong! As the internet has evolved, this has resulted in many searches that have landed on my various webpages, and seen people get in touch with their own memories on either side of the spotlight. Many have kindly sent me their own stories plus the rare images that take us all back to the best years of our lives, so I have been able to share them across the world - so much better than being stored in boxes up in many a loft! You may also know that the early webpages contained information on several Hampshire music-makers, and inspired me to contact the Concorde Club Southampton which was celebrating its 50th year, from its early days as a jazz club in the back room of the old Bassett Hotel in Burgess Road at the top of the Common. 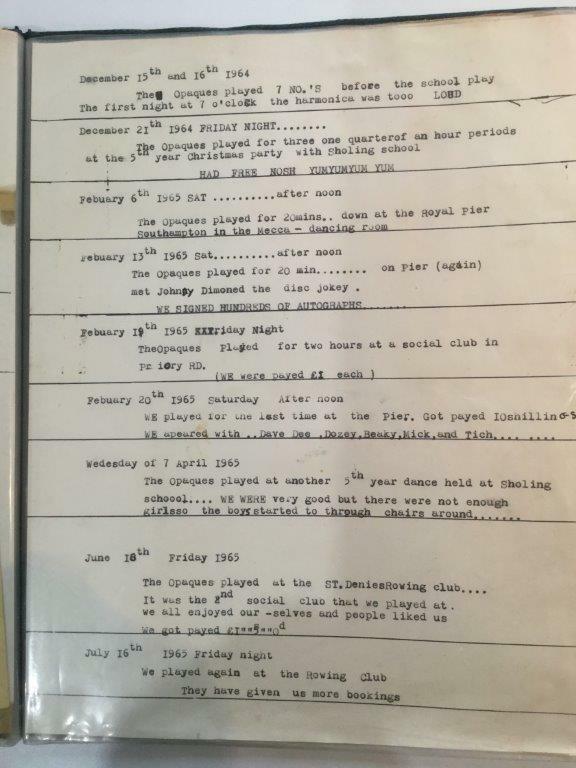 1957 saw the birth of this well established jazz club, thanks to Cole Mathieson who saw this tiny venue develop through the late Fifties, before adding its r&b profile as the new 60s bands came along, with many future big names playing for a few quid. You can read up on the club by looking at my Site Map page or just searching the net for its own website, but I do have links from my site. I had a chat with Cole back in 2007, but we didn't have time to organise my idea of a 'Reunion Night' in which former bands, singers and DJs could get together for a 50th anniversary celebration show, as well as raising some funds for the Concorde 'Pantomime' Fund. This in-house charity set-up has raised nearly £100,000 for local kids charities over many years, and much reported in the local press. Thanks to my new 'Groups' webpages, I was in touch with several musicians etc and I suggested that we could set up a show for 2008. We managed it, and were all amazed at the massive interest and response that saw the Concorde packed out for one of the best nights you could imagine. Just take a look at the Concorde 2008 webpage to read all about it, then you may know that the success of it all led to subsequent years and is now an established annual event. Check out the 2008-2016 shows and we already have a strong 2017 line-up for Friday 10th November - a new dedicated Concorde 2017 webpage will be uploaded in the very near future, so please check back on my Site Map to read all about, then maybe book your places! This latest page will be extended over the near future as I have had more e-mails plus extra info on various local groups, and I need to check it all out, then edit stuff where needed. Southampton and the surrounding area has produced a lot of talent, although we never quite emulated the success of the main cities that spawned a wealth of new talent, such as Liverpool, London, Birmingham etc. 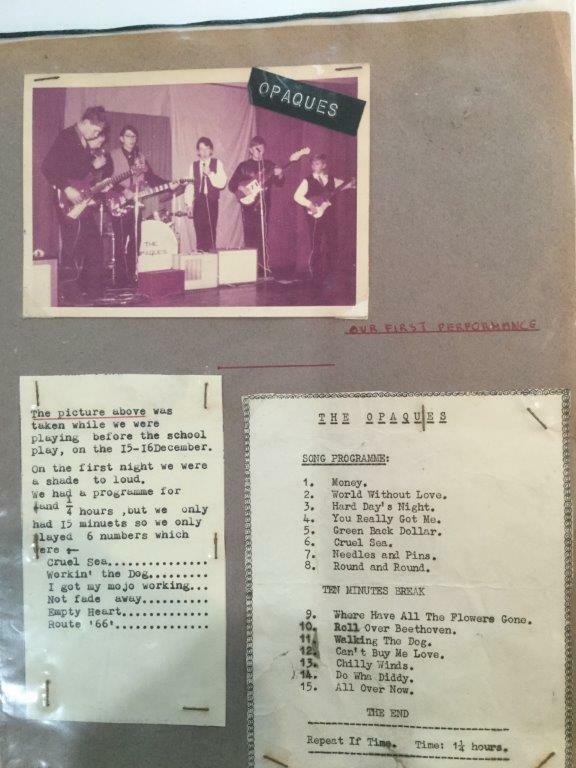 It was the 'Beat Boom' that saw new UK groups get back to the rock n roll days, following a few stagnant years when smooth 'safe' American artistes ruled the Hit Parade, such as Bobby Vee & co, although they produced some good music in between the old-fashioned output that lingered on from the Fifties 'crooners' The Beatles tore up the rule book, and inspired many more teenagers (including myself) to get a group together. The Rolling Stones and other r&b outfits led us all down another path, followed by a wealth of great talent and songwriters, all of whom put England on the world map again - as well as us leading the way with fashion and much more. The British Invasion saw us Brits repackaging the American music and taking it across the Atlantic - the rest is history! If you ask any local Hampshire people to name any 'big names' in UK chart history, then I doubt if many could come up with that many. 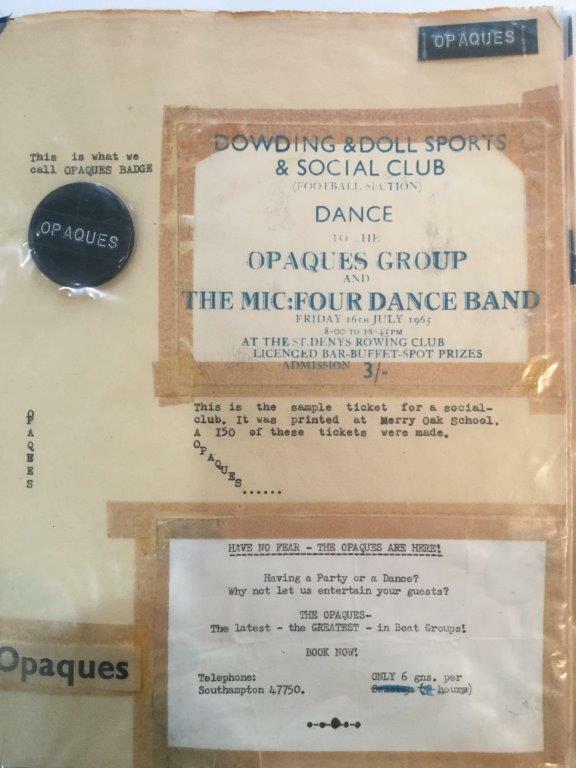 However, those of us who are connected with the music scene would be able to enlighten the others, and mention a few names such as The Brook Brothers ('Warpaint' etc) and Heinz Burt (ex Tornados and solo success) back in the early Sixties. Manfred Mann had Portsmouth/Southampton roots and were an early house band at the old Concorde Club before hitting the charts a little later. Although they were from across the border in neighbouring Wiltshire, we 'adopted' a very talented new pop group who were managed by Avenue Artistes of Southampton. They mixed laughs with great music and were known as Dave Dee and the Bostons, before that well known name change plus some superb hits by top songwriters. An Andover group also exploded onto the scene as Reg Presley and the Troggs combined saucy songs with innuendo that ruffled a few feathers in those conservative days! Nobody really hit the heights after the mid Sixties, and in recent years, the likes of Howard Jones, Craig David and Will Champion (Coldplay drummer) have boosted the city's image to some degree. I'd also like to mention one of the UK's finest drummers, who I first saw as he practised in his bedroom, whilst playing along to Sandy Nelson 45s etc! Roger Pope, who played with top R&B band The Soul Agents, who had some recordigng success as well as being the first ever backing group for a young Rod Stewart in the mid 60s! Roger played on many hit sessions for other bands, as well as joining Elton John's early backing group and playing on several hit singles and albums. Later successes including a spell in the USA with Hall & Oates amongst others. You will see references to this great local talent who sadly passed away a few years ago, but still very much remembered by many of us - there is even a Facebook page on him! However- back in the early Seventies, another massive local talent came along in the shape of a singer/songwriter/musician whose first hits were channelled through a set of of childrens' favourite characters. He later composed million-selling hits as well as producing many other big names, but started out as yet another young teenager, with dreams of stardom by joining his first ever 'beat' group. This rare photo and a brief account is reproduced with his kind permission, taken from his own website - I'll add it below these wonderful memories and in his own words as I hope you haven't scrolled down in haste! Best look at this image - look at the keyboards, then see if you can work out his identity? Fascinating article and maybe a few clues from this piece? I suggest you read this taster line by line and avoid jumping a few spaces, which will finally land on the answer! Note the classic Linear Concord valve amp (mesh grill) plus basic equipment of that era! Brilliant story and I'm sure there are more memories over the Sixties, but this young lad was aiming for higher things as he developed his songwriting and production talents that saw him being signed up by the Liberty label - later became head of A&R at such a young age. The early Seventies saw him take a major gamble, as a married 23 year old, with children as he invested some £11,000 (big money at that time) for an orchestral rock album that didn't take off. However, 'M' was asked to write the theme music for a new children's TV series in 1974 and offered a very basic one-off fee of £200, which he cleverly declined but requested the character rights instead. 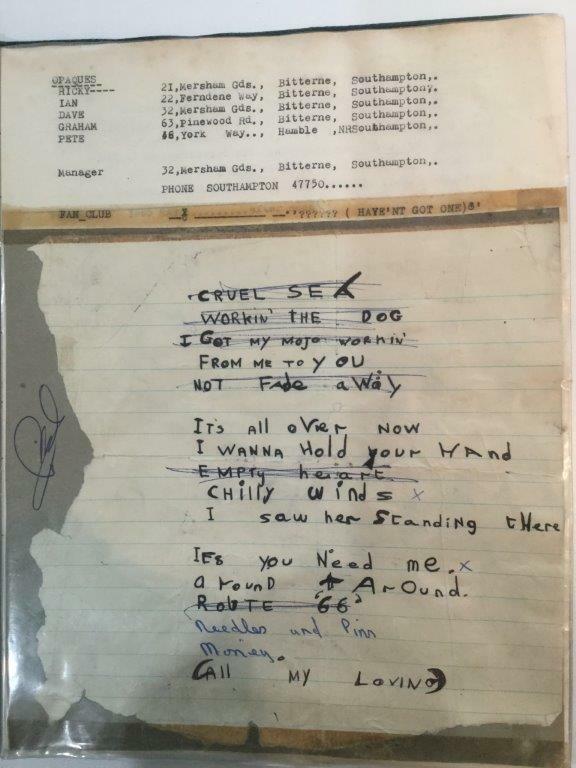 Eight hit singles and four gold albums were the result of this astute bargaining, as the series went global, thus sealing 'M's status as a songwriter/businessman, although many (jealous) critics sneered at the output via this route to stardom. Any ideas yet? Here come the big clues- M wrote and produced 'All Around My Hat' for Steeleye Span in 1975 plus several instrumental works that some might recall. Soon after, 'M' produced 'Lilac Wine' for Elkie Brooks, then followed by his most successful compositon that was written for the highly acclaimed animated movie of 'Watership Down'. Guess you know by now? A beautiful sad, but moving song that portrayed part of the moving screenplay and featuring one of the finest singers in the world, who was formerly one half of a multi-million selling double act that were major part of the Sixties. Art Garfunkel and 'Bright Eyes' What a combination! The early Eighties saw 'M' and his family take off on his yacht for a couple of years, as they sailed around much of the world, before returning to the UK to carry on with more great work. Three more top ten hits came along : 'Please Don't Fall In Love' (Cliff Richard) 'A Winter's Tale' (David Essex) and 'I Feel Like Buddy Holly' (Alvin Stardust). 'M' co-wrote the main themed for 'Phantom Of The Opera' in conjunction with Andrew Lloyd Webber. In recent years, this amazing talent has never stopped working, as well as discovering the amazing Katie Melua, and writing two massive hits with 'The Closest Thing To Crazy' and 'Nine Million Bicycles in Beijing'. 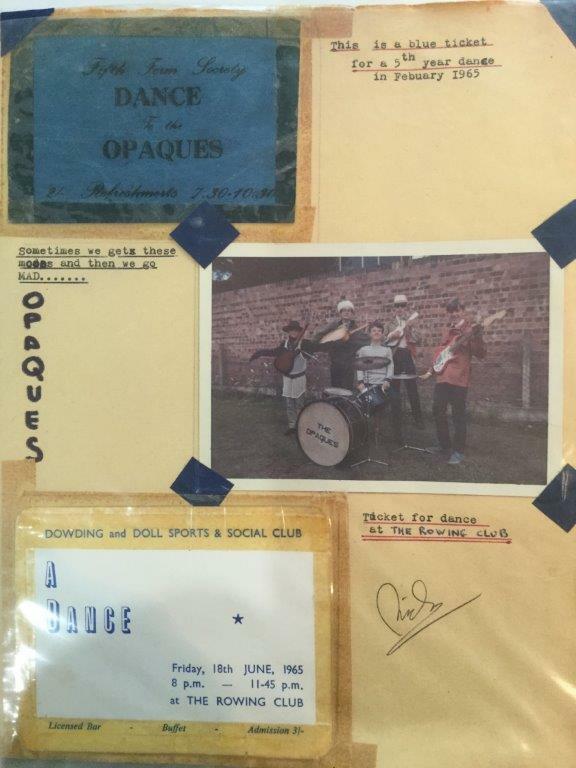 Around the same time (1964) as a very young Mike Batt joined his first - and only - local group, I had also landed my first stint as lead vocal/harmonica with The Abdo-Men, although I had been singing at teen dances and local clubs from 1958. Check out my Biography page via the Site Map page to read more, and there were loads of new bands popping up all over the area. We had very basic equipment - some of it being home made, but we managed to knock out the hits of the day as well as earning a few quid but having the time of our lives! We travelled to gigs in a a variety of transport - usually family cars, buses or in some unroadworthy jalopy of a van! It also heightened our profile with the girls, so what more could a young lad wish for? 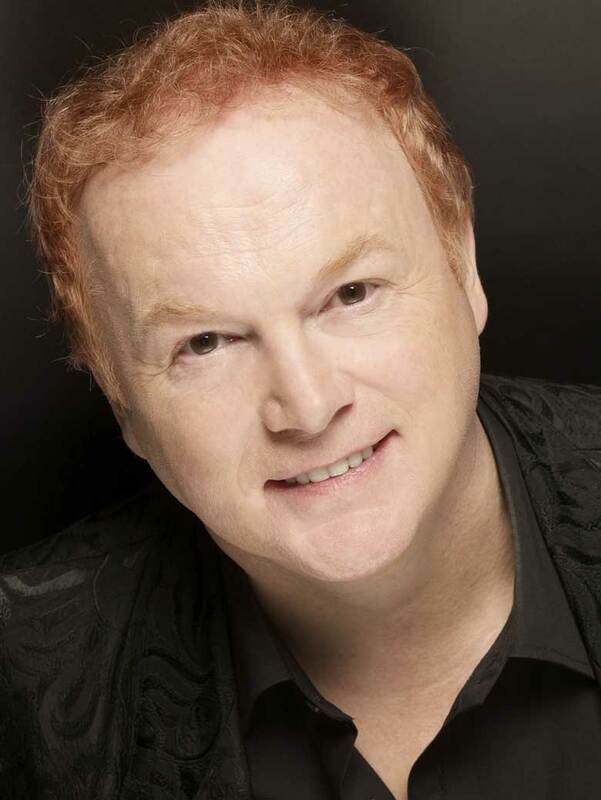 I was raised in Woolston, by the banks of the River Itchen, which flows down from its source near Winchester- so a tenuous link with Mike Batt and The Brook Brothers who lived there for a while. I passed my '11 Plus' exam in 1960, which led me to attending Itchen Grammar School in the Merry Oak area- just a couple of miles away by bus, foot or bicycle. 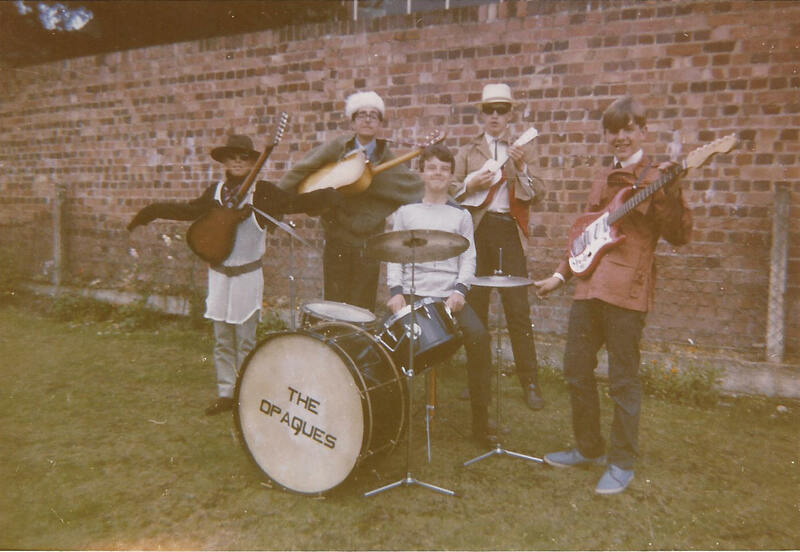 1964 also saw a few local lads attempt to fulfil their own dreams of stardom in the new exciting pop music world. 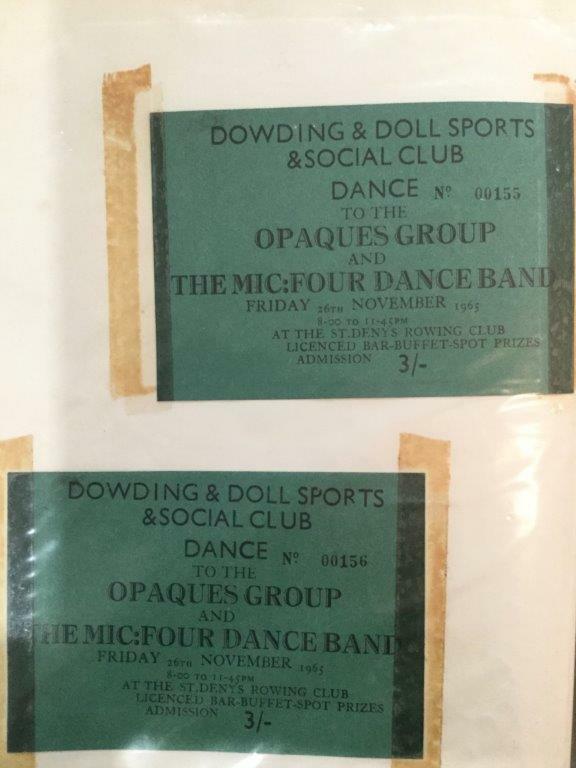 Late November 2016 - I received this e-mail which highlighted a short- but enjoyable couple of years in the fickle world of the Sixties scene that involved a bunch of pals get together and form a band. 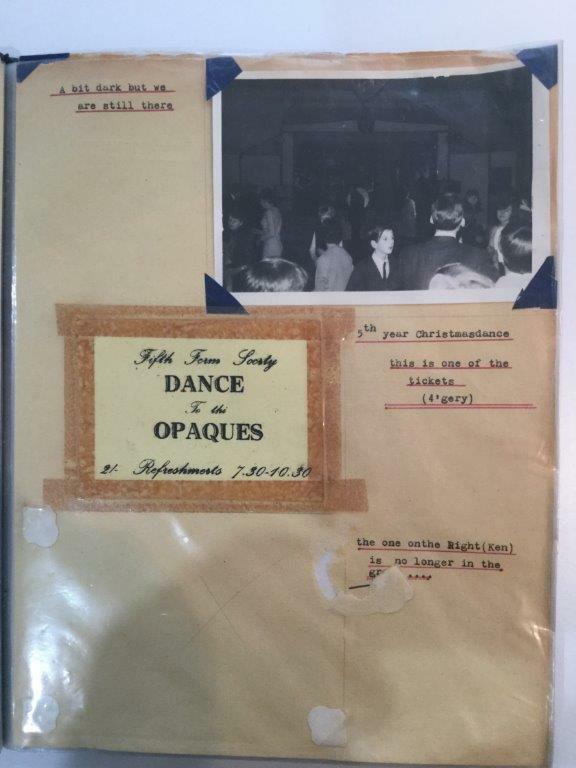 Ian Stovold was referring to my various references to the Royal Pier Pavilion Ballroom by the Docks, and much of the information/photos were sent to me by the well known DJ Johnny Dymond - the no. 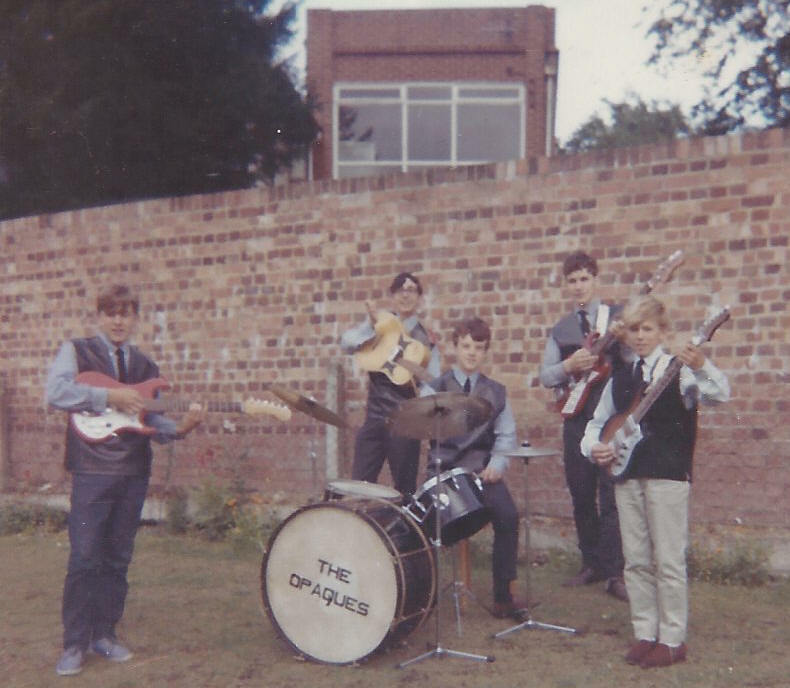 1 Jock of the Southampton Sixties scene. I saw your piece after researching Johnny Dymond in a nostalgic moment. It was interesting to read. 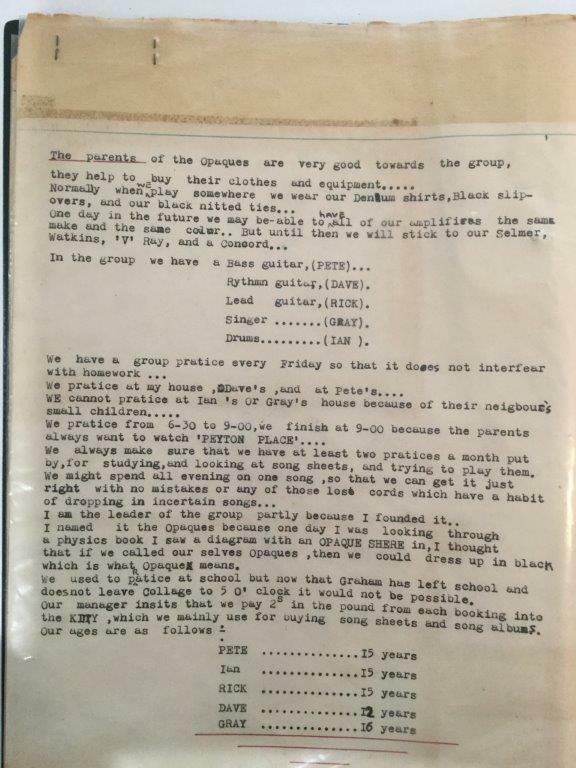 I wanted to add that the group I was a member of (mainly 15 year olds) played there on a Saturday afternoon session. 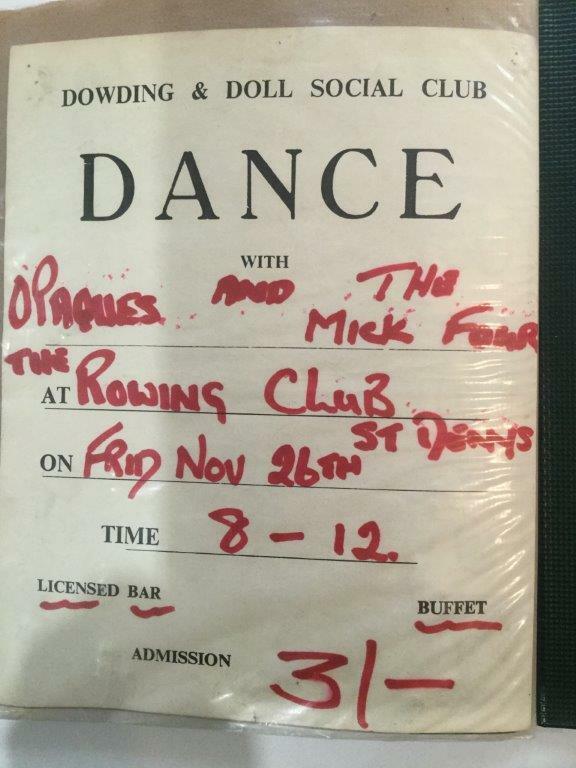 We shared the gig with Dave Dee Dozy Beaky Mick and Tich, they mimed to "No Time", we played live (Mick borrowed my drumsticks! ).This would have been 1965. I am attempting to find any photos that may have been taken there. We disbanded in 1966, as members went their separate ways. I would feel very honoured if you include a mention of us, our greatest claim to fame. Having read a little more this is going to start sounding a little incestuous! It mentions Avenue Artistes' act - Dave Carson. I was an apprentice and close friend of Dave at BT (Post Office Telephones). 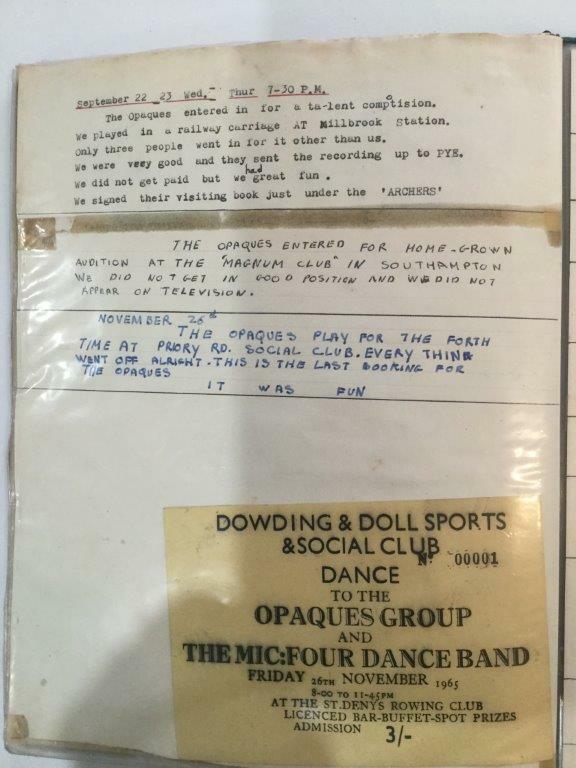 Dave's actual name was Dave Hewlett, (Dave the Rave in his very early times). His early success as mobile DJ left him little choice but to resign from BT or be sacked, due to his nocturnal lifestyle. After several years I can remember helping him a couple of nights a week moving his massive vinyl record boxes and heavy equipment, that would have been 1975. Sadly he died too young, at the time I think he was a director at Avenue Artistes. I also knew his wife, Kathy, but they had separated. The last time I saw him was around 1994. 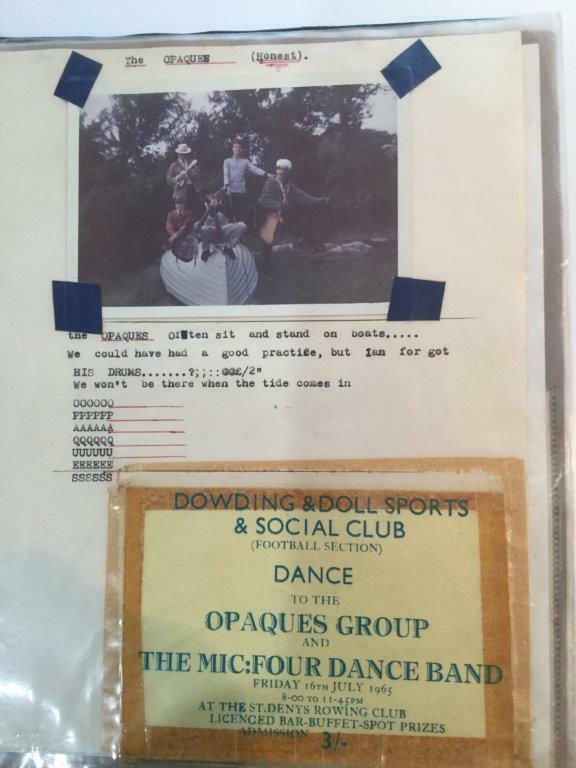 I'm trying to get some more detail regarding the Opaques, Rick Mills, again one of my oldest friends kept a scrapbook that he submitted as a school project. 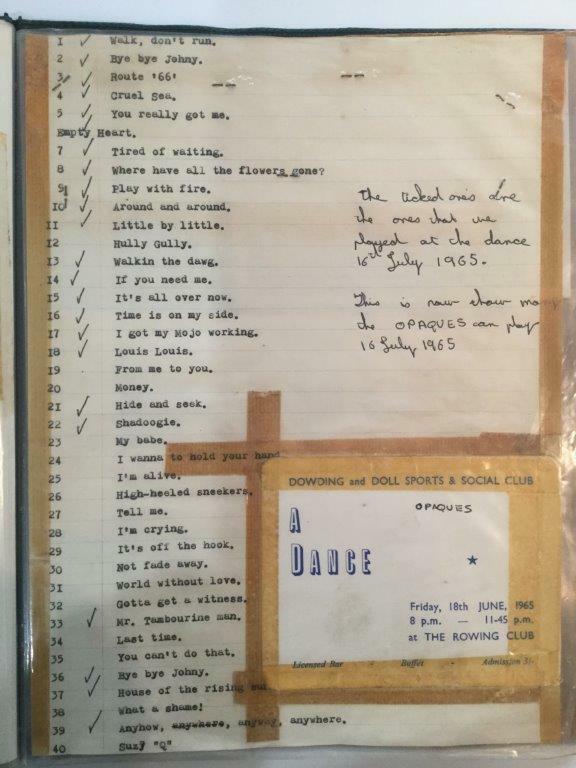 I have verified he still has it so I will try and get hold of it to offer any further details etc. Stretching my memory I recall two young ladies that worked in the cloakrooms, I think their names were Ruth & Helen, I remember one lived in Union Street, near what was to become the Southern TV studios, the other lived in a high rise block near to the pier. 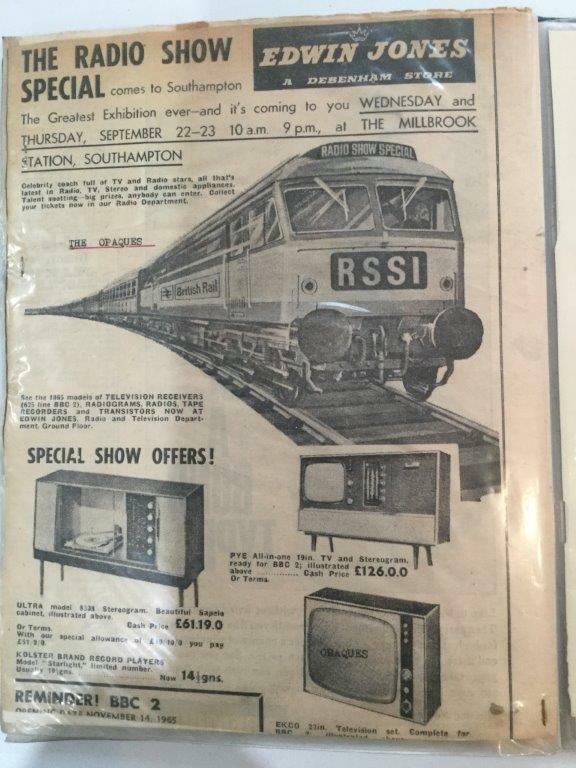 Our only other real claim to fame was on the 22/23 September '65 we entered a talent contest on a train in Southampton, featuring Anita Harris. The individual missing from many of the pics was Ken, more a part time member. I suppose in today's speak it would be "feat/ft Ken Wheeler." I know Rick bumped into Graham a couple of years ago, doing something with digital art. David the youngest has continued his craft in a local group called Work Shy. Well don't think I can add anymore, certainly some very happy memories. 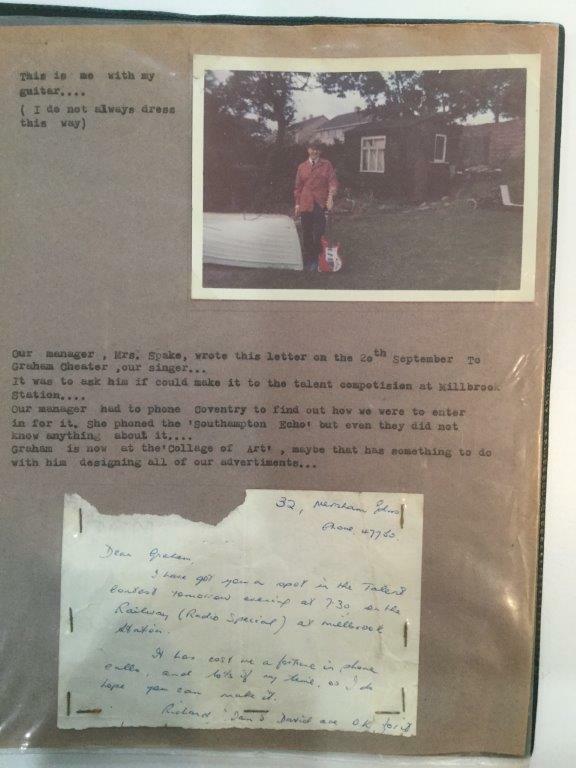 Ian also sent some old photos (see below), and managed to take pics of the aforementioned scrapbook via Rick Mills, so I am able to reproduce the pages below although the book is too fragile to remove any of the individual photos etc. Not great quality, but giving yet another flavour of the times of our lives! 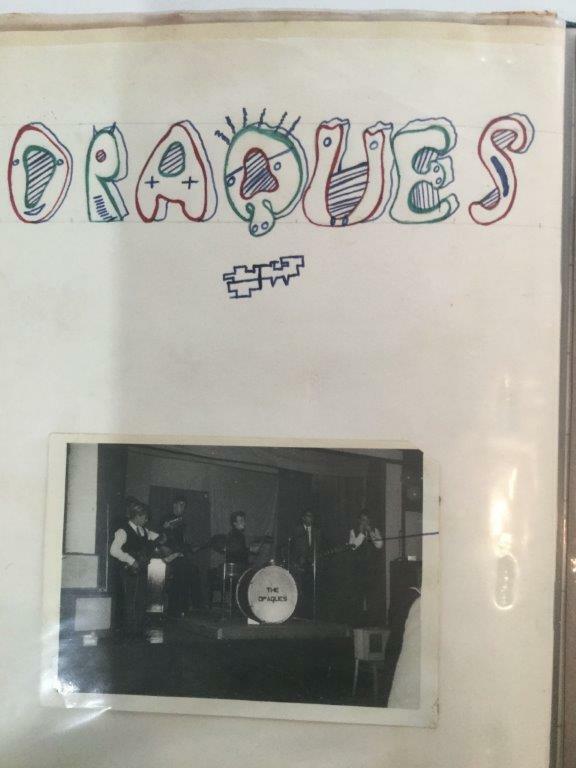 These marvellous memories will certainly strike many chords of those of us who were there at the time, and you will notice the setlists that many new young bands knocked out, as we all inspired by the chart-topping hitmakers of that time. OK Pop-Pickers....here we go! 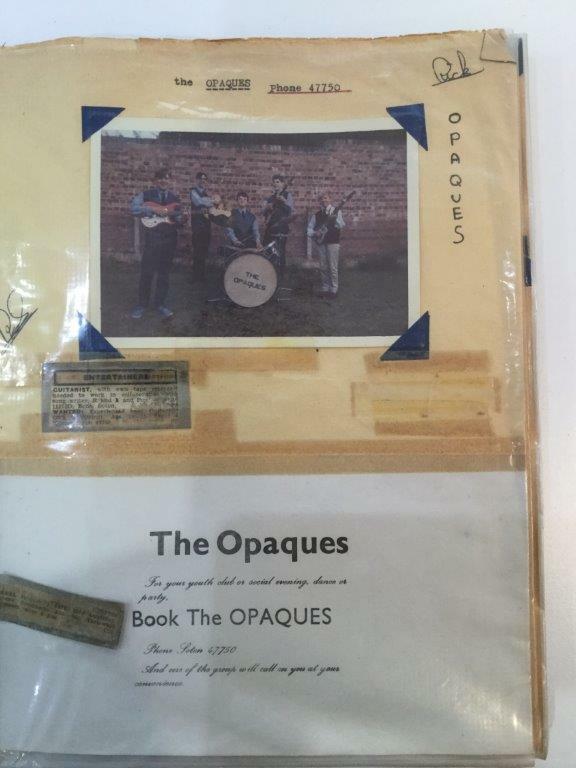 The small top advert from the local Echo reads "Guitarist with own tape recorder needed to work in collaboration with a songwriter - R&B and Pop"
The home-made 'business card' reads "For your youth club or social evening, dance or party Book The Opaques. 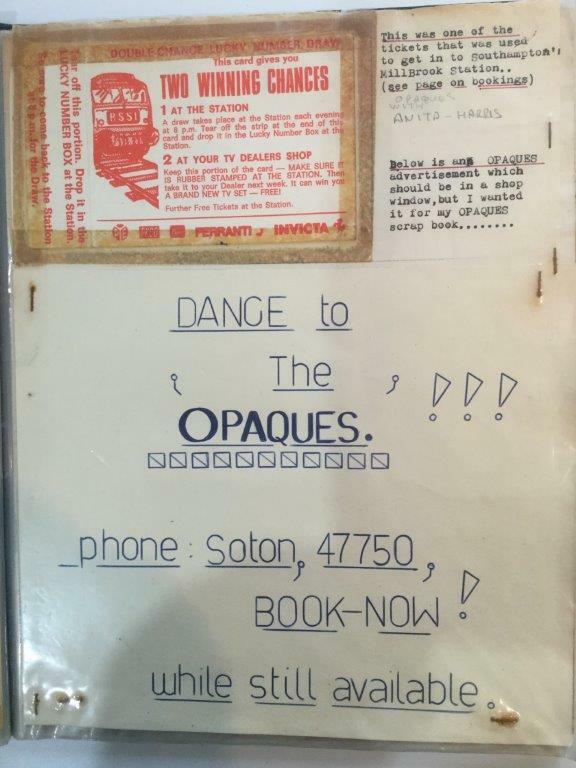 Phone Soton 47750 and one of the group will phone you at your convenience"
A few weeks after Ian got in touch - I had another e-mail from one of the original Opaques, who had no idea that his former bandmate had messaged me on the same subject! This from Graham Cheater, and you can see that he was not aware of the coincidence! I was looking for a photo of the Mecca Ballroom on Southampton Pier, and found my way to your website! I was in one of the "Saturday Afternoon Disco" bands! 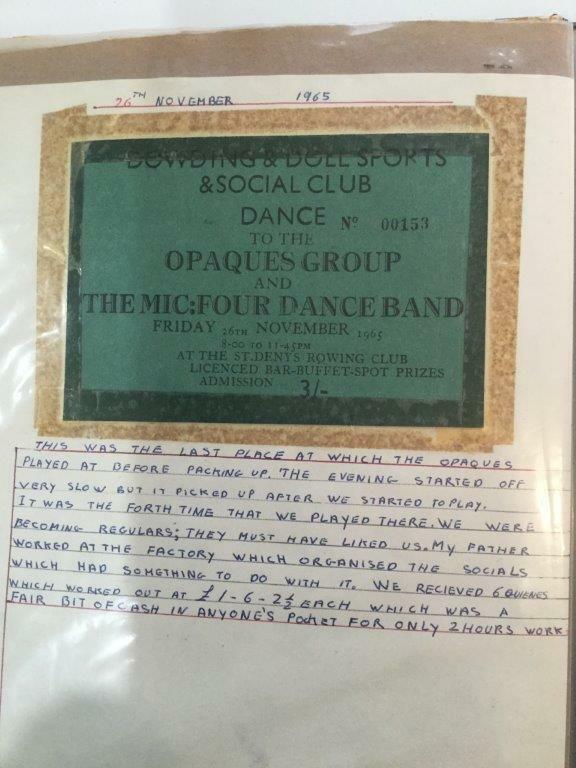 We were called "The Opaques" from Merry Oak School. I've attached a photo, not from the Pier, but just as a reference of the band. 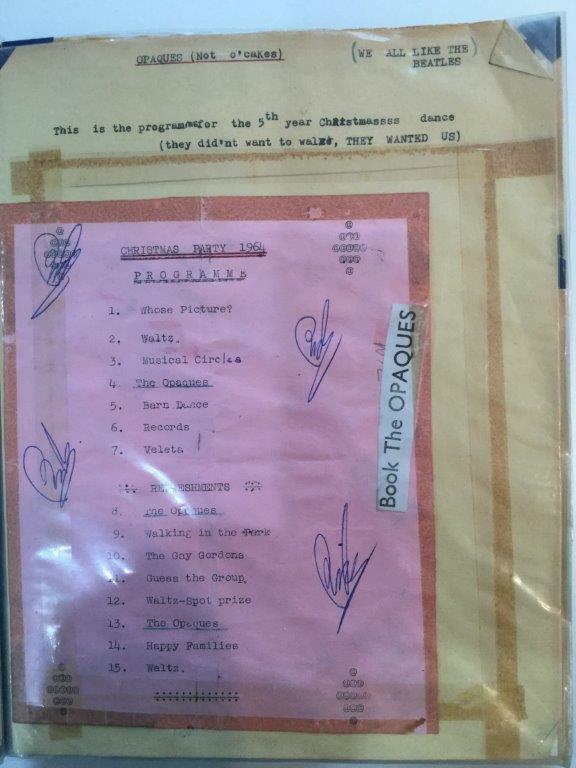 I remember that we shared the dressing room with Dave Dee and the boys once. 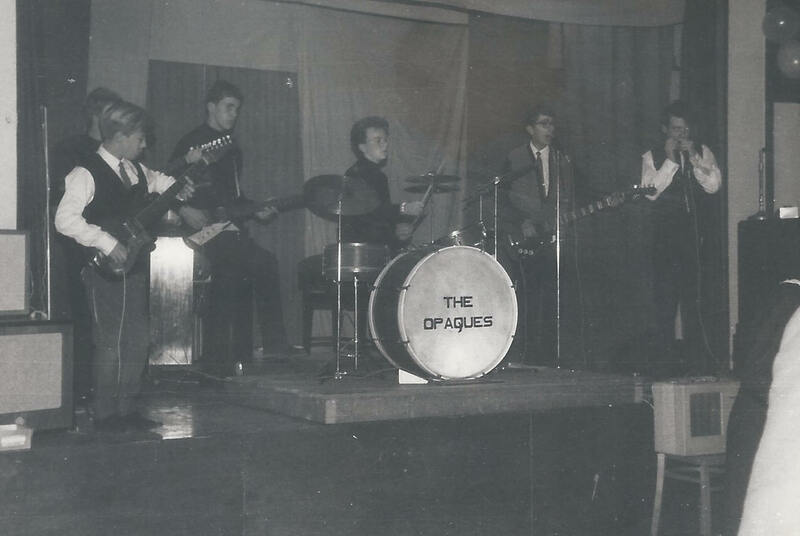 As a live band we were amazed, and disillusioned too, to find they mimed their entire act at the Pier through the house PA, whilst we worked hard those afternoons, with our small amps and without the help of the PA! I guess it burst our bubble of "Stardom" but we still played on and enjoyed ourselves! We were there many times - through 1964 - great memories! Really enjoyed looking around your website and all the memories it invoked! It's also enabled me to add this to my Bio on my website too! Wow what a spooky coincidence, maybe the band is still telepathic! I am absolutely gobsmacked ! I had lunch with Rick on Wednesday and we pondered on how we might track down Graham and Peter and this pops up, I'm absolutely astounded , also to now find out that Graham is not his real name. Hi David Yes it's fun, contacted another of the band too today and we've just started to chat on FB! No haven't spoken to these guys since those days! Pete the bass player and Ken the harmonica player, (who finally ended up playing bass and joined me some years later in a jazz/blues/funk band), I've been in touch with a few times over the years, but Ian/Rick/and Dave not at all. P.A. courtesy of Elton John! (Of course he didn't know we had 'borrowed' it, Roger had organised it with his dad!) We played through a huge WEM Wall of Sound PA with a 24 channel mixing desk! Ha ha ha, we were only two people! Elton John's main roadie played blues harmonica with us for several numbers. What a day! The crowd had never seen anything like it! Of course we two, only, couldn't help but sound good through all that gear! Thanks again David Cheers, Graham. Having started this off I feel a deep obligation to write, what will be, a final chapter on behalf of our former group, the Opaques. 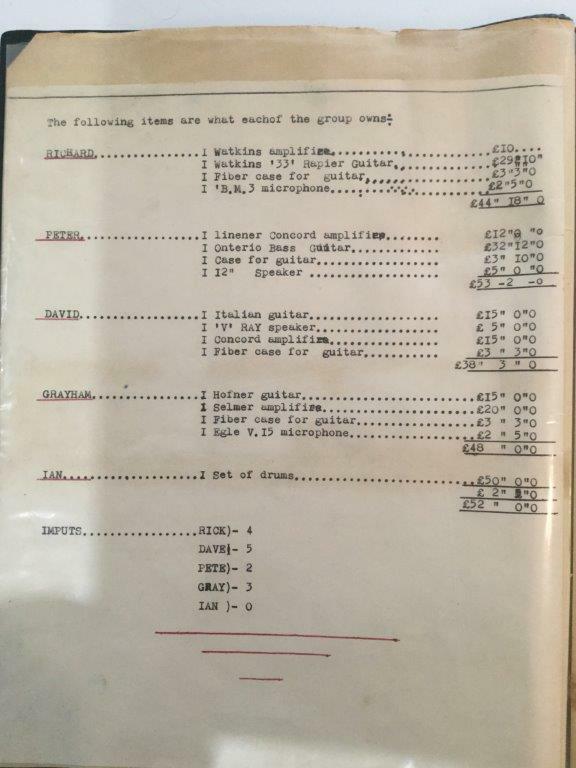 If you reference the original piece, created some 18 months or so ago you will gather that the different career paths we took in our mid teen years meant the demise of our band. Given the close contact I have maintained with Rick (Richard Mills) my oldest friend you would perhaps share the enthusiasm that the coincidental contact with Graham (Graham Cheater/aka John Spencer) evoked. To the point that we were planning a reunion, some 50 + years after disbanding. Sadly it wasn’t to be a musical reunion which has always been on my bucket list, although I did imagine this was a strong possibility. However given the partial social reunion, delayed by several months, with the meeting up of Graham, Rick and Dave (Spake), in Spain, it gave a realistic acknowledgement of Graham’s problems in travelling too far. So the gig we had proposed was never going to happen. However feedback from that meeting revisited many nostalgic moments but also emphasised the diversity that our lifestyle paths had taken. So in conclusion, now having shut the book on this final chapter I simply wish to reiterate a couple of points and add some follow up detail. Our joint efforts to track down the remaining members resulted in contact with Ken Wheeler, who declined any further involvement. Also, regarding Pete Rose, he too had settled in Spain and been in contact sporadically with Graham. Attempts to retrace steps with neighbours and employer failed to produce any meaningful contact opportunity. So Pete if you ever get to read this please understand that you are not forgotten and hopefully we can catch up through David St John. Lastly I had an email from the reunion, together with the attached pic. Has the last 50+ years been kind? 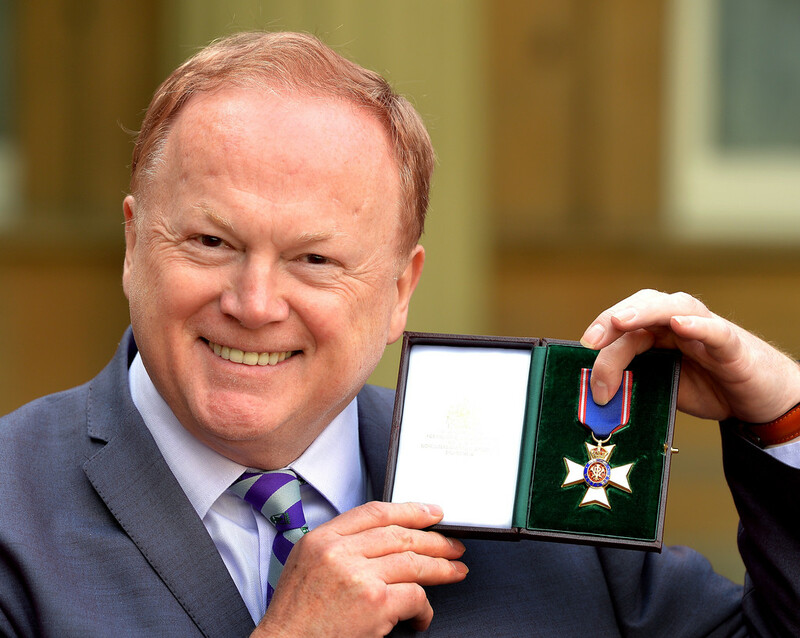 I know all individuals want me to convey our sincere thanks to DSJ for his interest and efforts, collating the content and publication of his blog giving us the opportunity to re-establish contact and book a place in the “hall of fame”. We would encourage anyone reading it with the shared memory or association to get into contact. Here are three Opaques in Spain, (Dave, Graham & Rick) 53 years on! Incidentally - Roger Pope's father ran the legendary Waterfront Club, next to the old Cliff Hotel Woolston by the banks of the River Itchen (old Floating Bridge then new Itchen Bridge area) You can find more on the club on several webpages, including the 'Venue's page - or just search on my name plus any relevant keywords. So - another reunion on the cards and all thanks to the internet, when people of all ages go searching for old mates, family and much more. I think it's great when they put the right keywords in, then stumble across familar names and places around the Southampton area. I am more than happy to add more info as well as getting a buzz out of putting people in touch after so many years. This was Groups 18 and trust you have enjoyed it. Who knows - maybe YOU can contribute to the next Groups pages? Signing off for now...................but not for long!